Over the last 150 years, the field of medicine has accomplished many astonishing things. Some of these medical achievements are well-known and celebrated—antibiotics, vaccines, and organ transplants, for example. This is a list of ten recent success stories in the world of medical science, which—whether through pioneering technology or sheer staggering effort—has accomplished things that most people would have thought miraculous just a few generations ago. 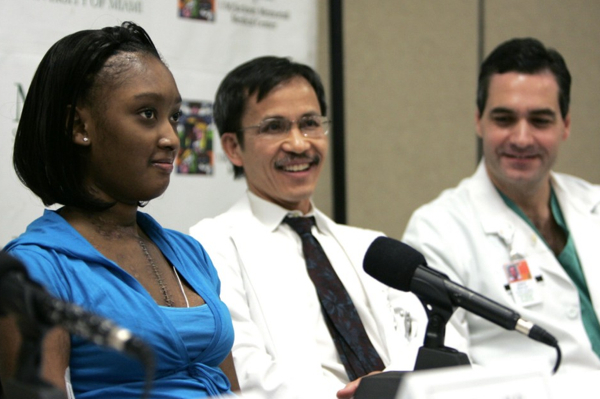 On July 2, 2008, fourteen-year-old D’Zhana Simmons from South Carolina was given a heart transplant. She suffered from a condition called dilated cardiomyopathy, which meant that her heart was weakened and her blood wasn’t being pumped efficiently. Her new heart failed to function properly, so doctors fitted two pumps to keep her blood flowing while she recovered before surgery—and, remarkably, while they went looking for a new heart. It was almost four months later, on October 29, that another transplant was carried out, this time successfully. In total, she’d lived without a heart for 118 days. This is thought to be the longest a pediatric patient has been kept alive without any heart at all. 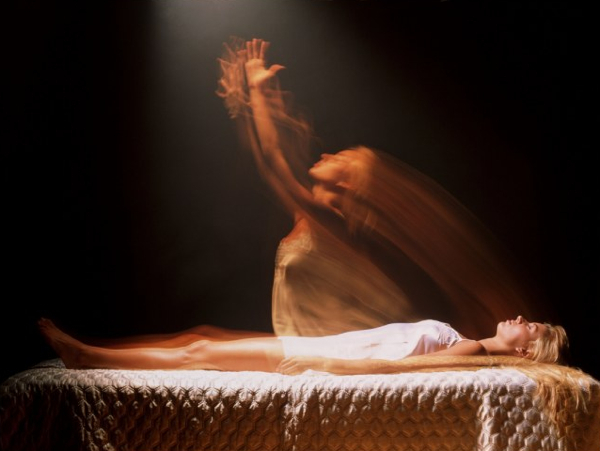 In 1999, a patient in a persistent vegetative state due to a motor accident was seen to be twitching by one of his nurses. His doctor prescribed a common sleeping pill, zolpidem, in case this twitching was caused by discomfort. The doctor crushed it on a spoon, fed it to the patient, and was shocked when just half an hour later, the comatose person made a noise for the first time in five years. This simple treatment has since been tried with several other patients, with marvelous results. Scans have shown that areas of the brain that previously appeared black and dead will light up after the pill is administered. Not all patients respond—in fact, around forty percent don’t show any improvement—but those who are successfully rescued from their comas are finally able to acknowledge their loved ones, and even have conversations. The effect wears off eventually, and the drug needs to be administered again to re-awaken patients. It can only be given so often, but its results are astonishing. 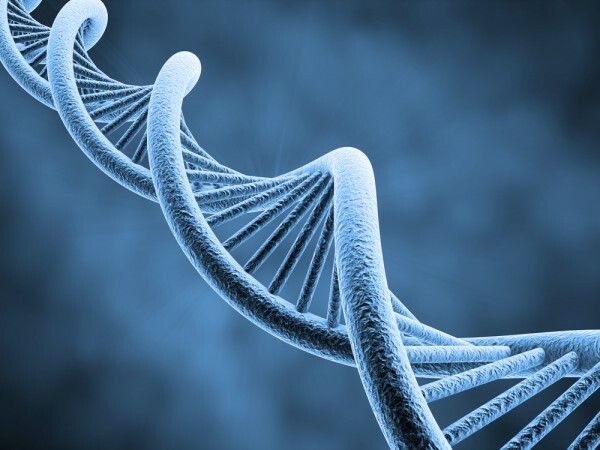 Scientists have developed a small device that is capable of analyzing and differentiating DNA in a short amount of time. The sticks are only about as wide as the length of a matchstick, and can be inserted into a computer to automatically transfer the data. They offer the promise of a quick genetic analysis of disease, and have already played their part in medical breakthroughs. The chips found distinctions between certain tumors that scientists had previously thought of as one disease, but which are actually different types of cancer. Scientists have built a robot that is designed to crawl into the body like a snake to perform surgery. The advantages of a robot over a surgeon are twofold: firstly, it can be smaller than the arm and hand of a surgeon, and can therefore reach places less obtrusively. Secondly, it can be more accurate and precise in what it does; the most advanced models contain a myriad of tiny sensors. 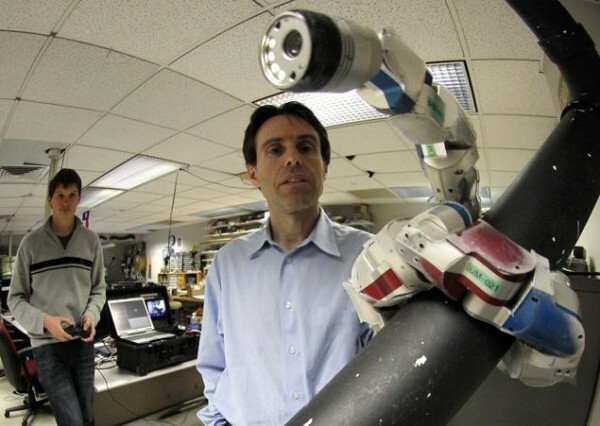 The robot must be tethered to a power source in order to function, but the inventors foresee a time when it will be able to work independently inside the patient’s body. Restoring sight to the blind is an archetypal miracle cure, one of Jesus’ most famous feats, and about as life-changing a procedure as science may be capable of. Blindness is not a single, uniform condition; it can be variously caused by problems in the eyes, the nerves, and the brain. There is no cure-all for blindness, but there are certain rapidly-widening avenues which are providing more impressive outcomes every day. Thanks to machine implants, people who were completely blind sometimes become capable of distinguishing color, and describing faces, food, and objects. The device works like a digital camera, creating an image and then sending signals through nerve cells to the brain. 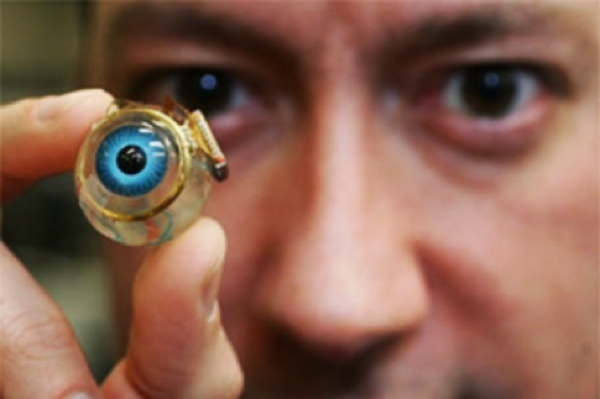 Doctors were also able to restore sight to a man who had been blind for forty-three years; they did this with the help of stem cells, one of the most promising fields in medicine. Neither of these treatments are yet perfect, but they show what science may be capable of in the future. Jan Scheuermann, a fifty-two-year-old woman paralyzed from the neck down, took part in a revolutionary trial operation last year. Doctors removed part of her skull and implanted two grids of electrodes into her brain. A wire from the grids was then connected to a computer, which could be used to control a robotic arm. Within weeks, Jane learned to perform fluid motions with the arm. She was able to pick things up, move them to a different location and put them down. She was even able to feed herself, far exceeding the expectations of her doctors. 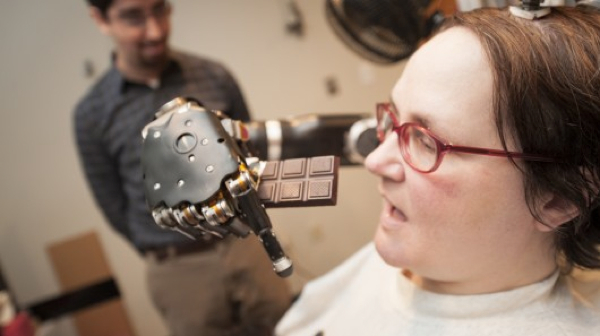 Planned advances in the technology—such as making it wireless, and introducing sensory feedback so that patients can “feel” with the arm—offer us the tantalising possibility of completely paralyzed people being able to regain independence. There are said to be two certainties in life: death and taxes. Taxes probably aren’t going anywhere soon, but medical science has been pushing the boundaries of the other for a while now. Thanks to modern-day care, it is now possible to be dead by most definitions for several hours, and then return to live for decades, undamaged. Traditional CPR has a success rate of around sixteen percent in hospitals, but there are newer techniques which can double that, and increase the quality of life afterwards. Dr Sam Parnia is at the forefront of this trend; he believes that anyone who dies of a reversible cause doesn’t need to die. Even cardiac arrests can be dealt with, since the major problem is basically the damage caused by the heart stopping before it can be fixed. But with techniques such as cooling the body, having a machine carry out CPR, and artificially oxygenating the blood, it is possible to keep people’s bodies—and minds—ready for resuscitation as soon as their issue is resolved. Doctors can essentially hit the pause button on dying, while they fix the original problem. HIV/AIDS is a disease that affects tens of millions of people around the world. Following the start of the AIDS pandemic in the early eighties, treatment options were limited and ineffective. The disease’s impact on the world has been so great that we’ve already written two lists, which you can read here and here, of notable people who died from it. In 1996, at a medical conference in Vancouver, the potential of a treatment known as highly active antiretroviral therapy (HAART) was presented to the medical establishment. 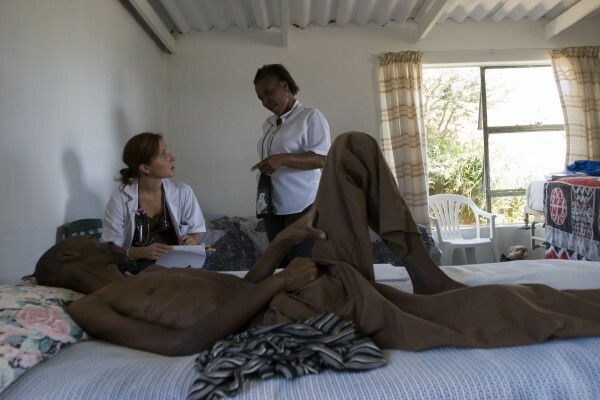 HAART’s effect has been to transform HIV/AIDS from a death sentence into a manageable condition. Deaths, hospitalization, and the rate of progression from HIV to AIDS rapidly declined by up to eighty percent when clinical use of the treatment began. A large number of people with HIV, particularly in the developed world, can now expect a near-normal lifespan thanks to HAART. If you want to appreciate just how impressive this treatment is, you can watch this video, showing in reverse the change in an HIV patient who took the medication. There are few words more terrifying than cancer. Cancer actually refers to many related diseases which are caused by uncontrolled cell growth. It can occur anywhere in the body, and is often a death sentence. Our understanding of its causes and its potential cures is incomplete, simply because it is such a varied and complex beast. But a significant new avenue for treating cancer comes from our increasing ability to sequence and analyze genetic information. 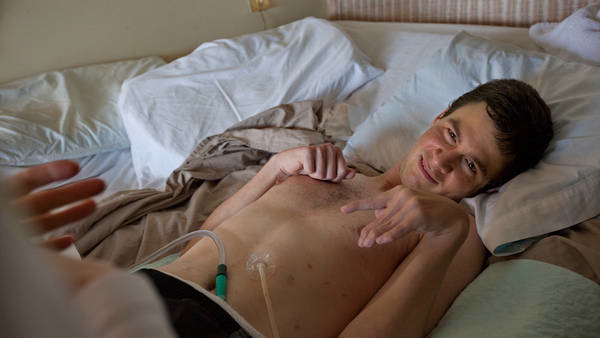 When Dr Lukas Wartman, a cancer researcher, developed acute lymphoblastic leukemia, his colleagues put all of their other work on hold in an attempt to save him. They employed a a type of analysis that had never been tried before, running a sequencing machine and supercomputer non-stop in an attempt to identify the gene that might be causing his cancer. They found one, and luckily a new drug, which had only been previously tested on kidney cancer, was able to shut the gene down. Dr Wartman was the first person ever to take this drug for leukemia, and his cancer went into remission. This new process—sequencing the DNA and RNA from tumors to find a cancer-causing mutation—offers the promise of more effective and focused treatment. The phrase “cure for cancer” remains a meaningless oversimplification, but this is a technology and treatment method with the potential to help across many types of the disease, and ultimately save more lives. More than a billion people live in India, many of them in remote areas without proper access to medical care. In 1988, there were 200,000 cases of polio reported in India alone—more than in any other country. It was at this time that the Global Polio Eradication Initiative was launched, with the goal of eradicating polio worldwide. They originally aimed to do so by the year 2000, though there were still nearly three thousand cases that year. 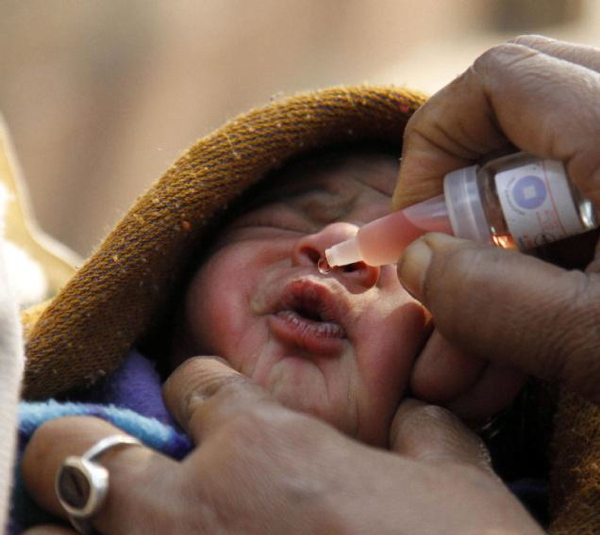 By 2009, India was still making up half of the world’s polio sufferers. The major stumbling block to improvement was a deep distrust of the vaccine. Many in India’s poorer areas, lacking even basic sanitation, worried that the vaccine was a back-door family planning program, or that it may contain forbidden animal parts (incidentally, while Gandhi was alive he unhelpfully advocated against the use of such vaccines, and in fact most medical care—doing no favors for the impoverished in his country). Many disease victims opted for traditional folk remedies, such as dipping their children in a river. To combat this preference, health officials created the largest public health campaign in history, spending eight billion dollars and employing more than 2.3 million people, who were armed with oral vaccines, hand-drawn maps, and tally sheets. The result? India has had no reported cases of polio for over two years, since the beginning of 2011. If no new cases are reported by the start of 2014, then India will be certified by the WHO as polio-free. As of April 5 this year, only twenty-two cases had been reported worldwide for 2013, meaning that what used to be one of the most feared and horrific diseases in public consciousness, may soon be defeated altogether.